Dr Francis Willis, who successfully treated King George III during one of his periods of madness, ran a private asylum at Greatford Hall. Willis was one of the most celebrated doctors of his time specialising in the treatment of "persons of distinction and respectability" and the King was his most illustrious patient. 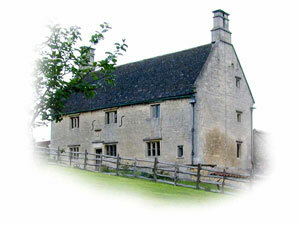 The asylum later moved to nearby Shillingthorpe Hall, built for his son John in 1833. Greatford Hall burned down in 1930 but was largely rebuilt afterwards and is now a private house. Shillingthorpe Hall was demolished in 1949. Sacred to the memory of the Revd. Francis Willis M D who died on the 5th December 1807 in the 90th year of his age. He studied at Oxford, was Fellow and sometime Principal of Brasenose College, where in obedience to his father he entered Holy Orders; but pursuing the bent of his natural taste and inclination he took the degree of Doctor of Physic in the same University and continued the practice of his profession to the last hour of his life. Initiated early into the habits of observation and research he attained the highest eminence in his profession: and was happily the chief agent in removing the malady which afflicted the present majesty in the year 1789. On that occasion he displayed an energy and acuteness of mind which excited the admiration and produced for him the esteem of the nation. The kindliness and benevolence of his disposition was testified by the tears and lamentations which followed him to the grave. The Museum of Lincolnshire Life in Burton Road has an apparatus for resuscitating the drowned and a reconstructed Victorian Chemist Shop. Museum in Broad Street displays Daniel Lambert's clothing. 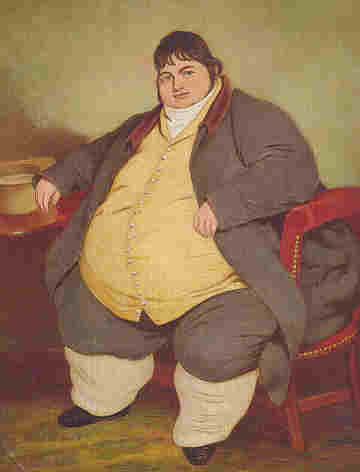 Lambert was one of England's most obese men, reputedly weighing 52 stone at one point in his relatively short life. Visitors to the George Inn can see his portrait and his walking stick, the dimensions of which are in fitting scale to the man himself. The Spa Baths provided treatment under the NHS until 1982. The spring was discovered in 1824.